Our Newtownabbey personal injury team are personal injury specialists which means that if you have had an accident in Newtownabbey or suffered any form of personal injury that was not your fault, you may be able to make a personal injury claim. This not only gets you financial compensation for your accident/injury but it also gives you the justice you crave and the peace of mind to look forward to the future with confidence. Situated north of Belfast and being both a residential area and an area with a variety of engineering, leisure and technology premises, Newtownabbey sees a plethora of different types of accidents at work, slips, trips, falls, industrial accidents, road traffic accidents and other incidents that cause personal injuries. If you are in the Newtownabbey area and have suffered a personal injury that wasn’t your fault then call our specialist Newtownabbey personal injury team today for a free, no obligation chat to see if you have a strong and valid claim for personal injury compensation. We understand that you may have may questions and concerns about taking out a personal injury claim as it can seem complicated and drawn out. The fact is though, the process is relatively simple and we do all the legwork for you which means that once your claim is underway, there’s very little you need to actually do. What Sort of Injuries/Accidents Do You Deal With? Accidents at Work: From offices and shops to factories and construction sites, places of work can all be dangerous in some ways and if you have suffered an injury at work and it wasn’t your fault then we may be able to help you claim for compensation. Traffic Accidents: Whether you are a pedestrian, passenger, driver or some other form of road user such as a cyclist, if you have suffered an injury that was not your fault, get in touch with our specialist Newtownabbey road traffic accident solicitors today. Falls: Whether you have slipped or tripped, if it wasn’t your fault call our specialist advisors today to see if you can make a claim. Dangerous Products: Maybe you have been burnt, cut or poisoned by some form of domestic product. If so, you may be able to make a claim for compensation. Get in touch for a free, no obligation talk with one of our specialist personal injury solicitors. For personal injuries, in most cases you have three years from the date of your accident to claim compensation. If you have recently suffered a personal injury or an accident that wasn’t your fault, why delay? Contact us straight away and get your claim started. The sooner you make your claim, the sooner you can get your compensation! How Long Does a Newtownabbey Personal Injury Claim Take? It is impossible to give an exact figure of how long it will take to settle your claim completely. 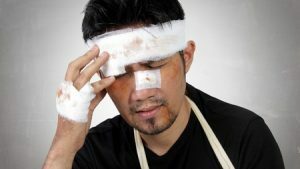 We work on a wide variety of different types of personal injury claims but to give you a broad idea, a straightforward case may settle within approximately 3-8 months whereas cases that are more complex and may be disputed may take longer and could last over 12 months. We will however try to get your case settled as soon as possible. Because all cases are different it is not possible to give you an exact amount of compensation you will receive for your injury. Whilst dealing with your case, if an offer of compensation is made then we will inform you straight away and advise you whether it is a good offer and whether in our expert opinion it is one that you should accept. Whilst there are no hard and fast rules as to the amount of compensation you should receive, there are previous cases we can look at to give us a general idea of what is a ‘fair’ idea of a settlement and work it from there. Once compensation has been agreed, you may expect that you will get your money immediately. Unfortunately, like much in the legal world, things are a little slower than this. From our experience, it usually takes around six weeks for the money to land into your bank account although it can be longer. In some cases, we can arrange for interim payments to be made if you have the need to pay medical bills etc. Can I Fast Track My Claim? You can rest assured that we will do everything we can to deal with your claim as quickly as possible. You can help by ensuring that you send any paperwork we request back as soon as you can. Little things like this all add-up to making your claim that little bit quicker. Many claims are settled without having to go to court However, if your case does have to go to court, you can rest assured that you will have your specialist personal injury solicitor there by your side and they will explain everything that is happening to you so you have peace of mind throughout the court process. Ready to make your claim? Call us today on 0800 073 8804 for your free, no obligation chat about our Newtownabbey No Win No Fee personal injury services.